With a month to go until the South Island Endurance Series bursts into life, in a dramatic move, the Series has revealed that it has dropped the GT class for 2017. The Series has actually split the GT class into two separate divisions. “Class D is for the GT cars including Porsche 997 & 991 Cup cars, V8 SuperTourers and the likes whilst the new Class E is for the FIA GT3 type cars” explained Dunn “and while we were having a rehash of the classes & names, we also officially combined our old 0-1600cc and 1601-2000cc classes into Class A 0-2000cc which is what has happened over the past few seasons regardless” he said. The other capacity based classes, although all have been renamed, remain unchanged. With the series enjoying the generous support from Carters Tyre Services the Series will again have a hefty prizemoney pool for 2017 as part of a multi-year partnership with the Carter family. However also to receive the axe during off season changes are that the Series will no longer pay $10,000 to the Series winners, but instead will pay $5000 out by way of spot prizes as well as a valuable rookie prize that will be awarded to a new team competing in the 3 hour Series. “We have $30,000 in cash that we will pay as prize money” said series secretary Chris Dunn, “and we will now distribute a good portion of it by way of spot prizes”. The Series will officially be known as the Carters Tyres South Island Endurance Series and with series entries already open, there has already been significant interest from both existing and new entrants. Carters Tyre Service are a 100% New Zealand family owned business, that is well established in the North Island, and rapidly expanding into the South. The Carter family are also familiar faces in the endurance pit paddock, winning the South Island title in both 2007 & 2009 and will run both their Mercedes SLS AMG GT3 and their ex-888 Falcon V8 Supercar in the 2017 Series. The 2017 Carters Tyres South Island Endurance Series will again be run over 3 exciting rounds, with a round held at each of the three traditional South Island race circuits. The Series starts at Teretonga Park, Invercargill on Saturday 9th September, then to Mike Pero Ruapuna, Christchurch for round Two on Saturday 30th September and the grand finale at Levels Raceway, Timaru on 14th October 2016. The Series is also the final chance for teams to qualify for the 2017/18 New Zealand Endurance Championships, where the top 20 cars from the recently completed Eneos NI Endurance Series, will be joined by the top 20 cars from the upcoming Carters Tyres SI Endurance Series for a winner takes all Endurance Championship race, scheduled for March 2018. Although excited about the entries to date there are still spots available on the grid, and dollar for dollar Endurance racing represents the best value for money Motorsport available. Competitors can still register their interest by contacting Series Secretary, Chris Dunn, via e-mail at [email protected] or phone 021-107-9293. Any potential competitors, crews and supporters are welcome to be added to the clubs e-mailing list by simply sending an e-mail to the above address, or via the Clubs facebook page at www.facebook.com/sierdcnz . 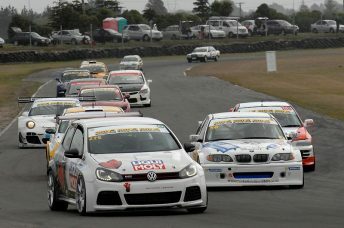 Information on the series sponsor can be found at www.carterstyres.co.nz .